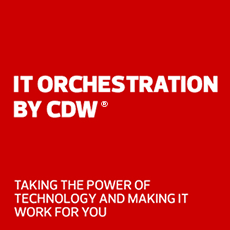 At CDW, we embed diversity and inclusion into the fiber of everything that we do. We ensure all coworkers have the resources required to perform at their highest level – whether it’s collaboration tools, ongoing training or resource groups. We know that tomorrow’s ideas don’t come from yesterday’s thinking, so we prefer working with people who see the world differently. Get to know our BRGs and their missions. The CDW Business Resource Groups (BRGs) play an important role in promoting an inclusive culture. They provide professional development, informal mentoring and networking opportunities to its members. Business Resource Groups also provide a forum for coworkers to build awareness, celebrate their affinity area, collaborate with other BRGs and provide business perspective on diversity and inclusion initiatives at CDW. Black Excellence Unlimited's mission is to provide resources and development opportunities for CDW's black coworkers that enable them to achieve excellence and have a positive impact on our customers and community. Business Resource Alliance Valuing Equality will help CDW foster and enhance an inclusive culture where our lesbian, gay, bisexual, transgender* and ally coworkers can be authentic and reach their fullest potential. We will provide resources, networking and enablement to help our members succeed while driving business objectives. Hispanic Organization for Leadership & Achievement’s mission is to increase our Hispanic population’s contribution to the organization by utilizing our resources to align with business goals. This is accomplished through development programs and opportunities aimed at empowering members and providing a platform that facilitates effective networking, increased business relationships and opportunities for collaboration and knowledge exchange within our established and emerging markets. Military & Allies Resource Council will recruit, develop and support coworkers who have served our country both past and present and to strengthen connections and partnerships with the military community. Pan Asian Council will enable and support the growth of Pan Asian coworkers while exemplifying inclusion and impacting CDW’s business objectives. Women’s Opportunity Network will help CDW foster an inclusive culture where women are actively engaged and can realize their fullest career potential. We will provide resources, connections and enablement to help women succeed while driving our company business objectives. Alliance for Business Leading Equality aims to create a workplace that respects and honors individuals’ capabilities, including the unique qualities of our differently abled coworkers. We will accomplish our goal by providing professional and personal development opportunities as well as guidance for self-advocacy. RISE cultivates connections across CDW to bridge the gaps in tenure, experience, function and generation to advance coworker and organizational success. Hear IT from our leaders. CDW leaders know that brainpower from different backgrounds, perspectives and experiences leads to success. We foster an inclusive workplace that encourages and enables coworkers to excel. Our leaders believe in the power of diverse and inclusive teams. We work hard to motivate and remove inhibitors so our coworkers can perform at their very best – growing in their careers and exceeding our customers’ expectations.